Have a book manuscript you would like us to consider publishing? See our submission guidelines. Have an unpublished original article to offer? See our guidelines for Korean Studies. Titles in the Hawai'i Studies on Korea series and those listed under "Other Books" may be ordered from the University of Hawai'i Press, Order Dept., 2840 Kolowalu St., Honolulu, HI 96822-1888. Tel. (800) 956-2840 or (808) 956-8255; fax (800) 650-7811 or (808) 988-6052. In late nineteenth- and early twentieth-century Korea, public health priorities in maternal and infant welfare privileged the new nation’s reproductive health and women’s responsibility for care work to produce novel organization of services in hospitals and practices in the home. The first monograph on this topic, Imperatives of Careem> places women and gender at the center of modern medical transformations in Korea. It outlines the professionalization of medicine, nursing, and midwifery, tracing their evolution from new legal and institutional infrastructures in public health and education, and investigates women’s experiences as health practitioners and patients, medical activities directed at women’s bodies, and the related knowledge and goods produced for and consumed by women. 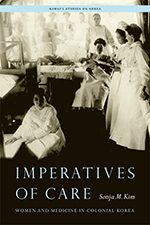 Sonja M. Kim draws on archival sources, some not previously explored, to foreground the ways individual women met challenges posed by uneven developments in medicine, intervened in practices aimed at them, and seized the evolving options that became available to promote their personal, familial, and professional interests. She demonstrates how medicine produced, and in turn was produced by, gendered expectations caught between the Korean reformist agenda, the American Protestant missionary enterprise, and Japanese imperialism. Korea’s first significant encounter with the West occurred in the last quarter of the eighteenth century when a Korean Catholic community emerged on the peninsula. Decades of persecution followed, resulting in the deaths of thousands of Korean Catholics. 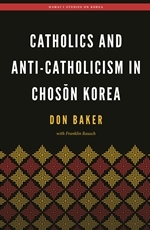 Don Baker provides an invaluable analysis of late-Chosŏn (1392–1897) thought, politics, and society to help readers understand the response of Confucians to Catholicism and of Korean Catholics to years of violent harassment. His analysis is informed by two remarkable documents expertly translated with the assistance of Franklin Rausch and annotated here for the first time: an anti-Catholic essay written in the 1780s by Confucian scholar Ahn Chŏngbok (1712–1791) and a firsthand account of the 1801 anti-Catholic persecution by one of its last victims, the religious leader Hwang Sayŏng (1775–1801). Confucian assumptions about Catholicism are revealed in Ahn’s essay, Conversation on Catholicism. The work is based on the scholar’s exchanges with his son-in-law, who joined the small group of Catholics in the 1780s. Ahn argues that Catholicism is immoral because it puts more importance on the salvation of one’s soul than on what is best for one’s family or community. Conspicuously absent from his Conversation is the reason behind the conversions of his son-in-law and a few other young Confucian intellectuals. 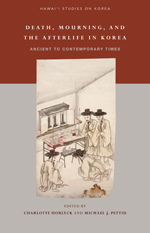 Baker examines numerous Confucian texts of the time to argue that, in the late eighteenth century, Korean Confucians were tormented by a growing concern over human moral frailty. Some among them came to view Catholicism as a way to overcome their moral weakness, become virtuous, and, in the process, gain eternal life. These anxieties are echoed in Hwang’s Silk Letter, in which he details for the bishop in Beijing his persecution and the decade preceding it. He explains why Koreans joined (and some abandoned) the Catholic faith and their devotion to the new religion in the face of torture and execution. Together the two texts reveal much about not only Korean beliefs and values of two centuries ago, but also how Koreans viewed their country and their king as well as China and its culture. Don Baker is professor of Korean civilization in the Department of Asian Studies at the University of British Columbia. Franklin Rausch is assistant professor in the Department of History and Philosophy at Lander University in Greenwood, South Carolina. Tonghak, or Eastern Learning, was the first major new religion in modern Korean history. Founded in 1860, it combined aspects of a variety of Korean religious traditions. Because of its appeal to the poor and marginalized, it became best known for its prominent role in the largest peasant rebellion in Korean history in 1894, which set the stage for a wider regional conflict, the Sino-Japanese War of 1894–1895. Although the rebellion failed, it caused immense changes in Korean society and played a part in the war that ended in Japan's victory and its eventual rise as an imperial power. It was in this context of social change and an increasingly perilous international situation that Tonghak rebuilt itself, emerging as Ch'ŏndogyo (Teaching of the Heavenly Way) in 1906. During the years before Japan's annexation of Korea in 1910, Ch'ŏndogyo continued to evolve by engaging with new currents in social and political thought, strengthening its institutions, and using new communication technologies to spread its religious and political message. In spite of Korea's loss of independence, Ch'ŏndogyo would endure and play a major role in Korean nationalist movements in the Japanese colonial period, most notably the March First independence demonstrations in 1919. It was only able to thrive thanks to the processes that had taken place in the twilight years of Korean independence. 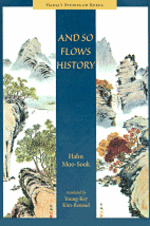 This book focuses on the internal developments in the Tonghak and Ch'ŏndogyo movements between 1895 and 1910. 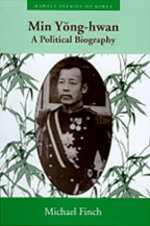 Drawing on a variety of sources in several languages such as religious histories, doctrinal works, newspapers, government reports, and foreign diplomatic reports, it explains how Tonghak survived the turmoil following the failed 1894 rebellion to set the foundations for Ch'ŏndogyo's important role in the Japanese colonial period. The story of Tonghak and Ch'ŏndogyo not only is an example of how new religions interact with their surrounding societies and how they consolidate and institutionalize themselves as they become more established; it also reveals the processes by which Koreans coped and engaged with the challenges of social, political, and economic change and the looming darkness that would result in the extinguishing of national independence at the hands of Japan's expanding empire. Carl F. Young is associate professor in the history department at the University of Western Ontario in London, Canada. Death and the activities and beliefs surrounding it can teach us much about the ideals and cultures of the living. While biologically death is an end to physical life, this break is not quite so apparent in its mental and spiritual aspects. Indeed, the influence of the dead over the living is sometimes much greater than before death. This volume takes a multidisciplinary approach in an effort to provide a fuller understanding of both historic and contemporary practices linked with death in Korea. Contributors from Korea and the West incorporate the approaches of archaeology, history, literature, religion, and anthropology in addressing a number of topics organized around issues of the body, disposal of remains, ancestor worship and rites, and the afterlife. The first two chapters explore the ways in which bodies of the dying and the dead were dealt with from the Greater Silla Kingdom (668–935) to the mid-twentieth century. Grave construction and goods, cemeteries, and memorial monuments in Koryŏ (918–1392) and the twentieth century are then discussed, followed by a consideration of ancestral rites and worship, which have formed an inseparable part of Korean mortuary customs since premodern times. Chapters address the need to appease the dead both in shamanic and Confucian contexts. The final section of the book examines the treatment of the dead and how the state of death has been perceived. Ghost stories provide important insight into how death was interpreted by common people in Koryŏ and Chosŏn (1392–1910) while nonconformist narratives of death such as the seventeenth-century romantic novel Kuunmong point to a clear conflict between Buddhist thought and practice and official Neo-Confucian doctrine. Keeping with unendorsed views on death, the final chapter explores how death and the afterlife were understood by early Korean Catholics of the eighteenth and nineteenth centuries. Death, Mourning, and the Afterlife in Korea fills a significant gap in studies on Korean society and culture as well as on East Asian mortuary practices. By approaching its topic from a variety of disciplines and extending its historical reach to cover both premodern and modern Korea, it is an important resource for scholars and students in a variety of fields. Charlotte Horlyck is lecturer in Korean art history in the Department of the History of Art and Archaeology, School of Oriental and African Studies, University of London. Michael J. Pettid is professor of premodern Korean studies in the Department of Asian and Asian American Studies at Binghamton University (SUNY), where he also is director of the Translation Research and Instruction Program. The concept of security has undergone significant change in the past few decades. Traditionally thought of in terms of the state-centric, militarily focused, realist discourse, the concept of security has been broadened to include a greater number of potential threats and an increased number of relevant actors. Yet, despite the great changes in security scholarship, the vast majority of studies on North Korea continue to focus primarily on the country's nuclear weapons program, its military, and other traditional security issues surrounding Pyongyang. While North Korea captures headlines with its aggressive behavior and growing nuclear arsenal, the ground-level threats to average, everyday North Koreans go largely unnoticed. 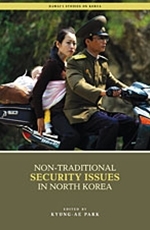 This groundbreaking volume seeks to refocus research on North Korean security from the traditional to largely unexplored non-traditional security (NTS) issues. In the wake of political succession to Kim Jung Un, the issue of non-traditional security is increasingly important. From the lasting effects of the famine of the 1990s to continued food shortages and the growing marketization of North Korean society, the Pyongyang regime is facing diverse and unprecedented challenges. This book offers cutting-edge analyses of emerging North Korean NTS issues by the world's leading specialists in the field. It looks at these issues and their effects at the local, regional, and international levels, as well as examining the international community's efforts to promote an NTS approach to North Korea. 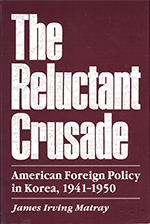 More specifically, the volume addresses the traditional and non-traditional security paradigms, energy security, gender security, transnational organized crime, the internal and external dimensions of North Korea's food security, the "Responsibility to Protect," refugee issues and international law, and the role of NGOs in promoting NTS in North Korea. Contributors: Tsuneo Akaha, Peter Hayes, Brendan Howe, W. Randall Ireson, David C. Kang, Shin-wha Lee, Mark Manyin, Kyung-Ae Park, Scott Snyder, Jae-Jung Suh, David von Hippel. Kyung-Ae Park holds the Korea Foundation Chair at the Institute of Asian Research, University of British Columbia. An understanding of contemporary North Korea’s literature is virtually impossible without an investigation of its formative period, 1945–1960, which saw a gradual transformation from the initial “Soviet era” to a Korean version of “national Stalinism.” This turbulent epoch established a long-lasting framework for North Korean literature and set up an elaborate system of political control over literary matters, as well as over the people who served in this field. In 1946 Democratic People’s Republic of Korea (DPRK) leader Kim Il Sung described the country’s writers as “soldiers on the cultural front,” thus clearly defining what the nascent Communist regime expected from its intellectuals. As a result, many literary nonentities were rewarded with fame and success (often only to be relegated once again to obscurity within a few years) while many outstanding luminaries of the past were erased from the pages of official publications or even lost their lives. The Soviet cultural impact brought new tropes, artistic images, and rhetoric, which were quickly absorbed into the North Korean discourse. However, the cultural politics of the DPRK and the USSR revealed profound and irreconcilable disparities that were rooted in the different political conditions and traditions of each country. Soldiers on the Cultural Front presents the first consistent research on the early history of North Korea’s literature and literary policy in Western scholarship. It traces the introduction and development of Soviet-organized conventions in North Korean literary propaganda and investigates why the “romance with Moscow” was destined to be short lived. It reconstructs the biographies and worldviews of major personalities who shaped North Korean literature and teases these historical figures out of popular scholarly myth and misconception. The book also investigates the specific forms of control over intellectuals and literary matters in North Korea. Considering the unique phenomenon of North Korean literary critique, the author analyzes the political campaigns and purges of 1947–1960 and investigates the role of North Korean critics as “political executioners” in these events. She draws on an impressive variety and number of sources—ranging from interviews with Korean and Soviet participants, public and family archives, and memoirs to original literary and critical texts—to present a balanced and eye-opening work that will benefit those interested in not only understanding North Korean literature and society, but also rethinking forms of socialist modernity elsewhere in the world. Tatiana Gabroussenko is a visiting fellow in the Faculty of Asian Studies at Australia National University. Available for the first time in English, the ten short stories by modern Korean women collected here touch in one way or another on issues related to gender and kinship politics. All of the protagonists are women who face personal crises or defining moments in their lives as gender-marked beings in a Confucian, patriarchal Korean society. Their personal dreams and values have been compromised by gender expectations or their own illusions about female existence. They are compelled to ask themselves “Who am I?” “Where am I going?” “What are my choices?” Each story bears colorful and compelling testimony to the life of the heroine. Some of the stories celebrate the central character’s breakaway from the patriarchal order; others expose sexual inequality and highlight the struggle for personal autonomy and dignity. Still others reveal the abrupt awakening to mid-life crises and the seasoned wisdom that comes with accepting the limits of old age. The stories are arranged in chronological order, from the earliest work by Korea’s first modern woman writer in 1917 to stories that appeared in 1995—approximately one from each decade. Most of the writers presented are recognized literary figures, but some are lesser-known voices. The introduction presents a historical overview of traditions of modern Korean women’s fiction, situating the selected writers and their stories in the larger context of Korean literature. Each story is accompanied by a biographical note on the author and a brief critical analysis. A selected bibliography is provided for further reading and research. Questioning Minds marks a departure from existing translations of Korean literature in terms of its objectives, content, and format. As such it will contribute to the growth of Korean studies, increasing the availability of material for teaching Korean literature in English, and stimulate readership of its writers beyond the confines of the peninsula. Yung-Hee Kim is professor of Korean literature in the Department of East Asian Languages and Literatures, University of Hawai‘i at Mānoa. The Japonic (Japanese and Ryukyuan) portmanteau language family and the Korean language have long been considered isolates on the fringe of northeast Asia. Although in the last fifty years many specialists in Japonic and Korean historical linguistics have voiced their support for a genetic relationship between the two, this concept has not been endorsed by general historical linguists and no significant attempts have been made to advance beyond the status quo. Alexander Vovin, a longtime advocate of the genetic relationship view, engaged in a reanalysis of the known data in the hope of finding evidence in support of this view. In the process of his work, however, he became convinced that the multiple similarities between Japonic and Korean are the result of several centuries of contact and do not descend from a hypothetical common ancestor. In Koreo-Japonica, Vovin carefully reviews recent advances in the reconstruction of both language families. His detailed analysis of most of the morphological and lexical comparisons offered so far shows that whenever the proposed comparisons are not due to pure chance, they can almost always be explained as borrowings from Korean into a central group of Japanese dialects from roughly between the third and eighth centuries A.D. The remaining group of lexical (but not morphological) comparisons that cannot be explained in this way is, he argues, too small to serve as proof of even a distant genetic relationship. 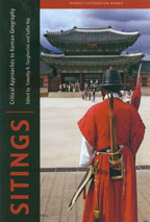 In this volume, a leading historical linguist presents a significant challenge to a view widely held by Japonic and Korean historical linguistics on the relationship between the two language families and offers material support for the skepticism long espoused by general historical linguists on the matter. His findings will both challenge and illuminate issues of interest to all linguists working with language contact and typology as well as those concerned with the prehistory and early history of East Asia. Alexander Vovin is professor of East Asian languages at the University of Hawai‘i at Mānoa. Arranged around a set of provocative themes, the essays in this volume engage in the discussion from various critical perspectives on Korean geography. Part One, “Geographies of the (Colonial) City,” focuses on Seoul during the Japanese colonial occupation from 1910–1945 and the lasting impact of that period on the construction of specific places in Seoul. In Part Two, “Geographies of the (Imagined) Village,” the authors delve into the implications for the conceptions of the village of recent economic and industrial development. In this context, they examine both constructed space, such as the Korean Folk Village, and rural villages that were physically transformed through the processes of rapid modernization. The essays in “Geographies of Religion” (Part Three) reveal how religious sites are historically and environmentally contested as well as the high degree of mobility exhibited by sites themselves. Similarly, places that exist at the margins are powerful loci for the negotiation of identity and aspects of cultural ideology. The final section, “Geographies of the Margin,” focuses on places that exist at the margins of Korean society. Contributors: Todd A. Henry, Jong-Heon Jin, Laurel Kendall, David J. Nemeth, Robert Oppenheim, Michael J. Pettid, Je-Hun Ryu, Jesook Song, Timothy R. Tangherlini, and Sallie Yea. Timothy R. Tangherlini is a professor in the Department of Asian Languages and Cultures at the University of California, Los Angeles. Sallie Yea is a senior research fellow in international development at RMIT University, Melbourne. Young-Key Kim-Renaud is the eldest daughter of Hahn Moo-Sook. She is chair of the Department of East Asian Languages and Literatures and professor of Korean language and culture and international affairs at George Washington University, Washington, D.C.
North Korea remains the most mysterious of all Communist countries. The acute shortage of available sources has made it a difficult subject of scholarship. 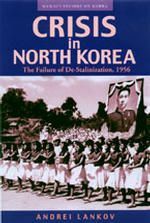 Through his access to Soviet archival material made available only a decade ago, contemporary North Korean press accounts, and personal interviews, Andrei Lankov presents for the first time a detailed look at one of the turning points in North Korean history: the country's unsuccessful attempts to de-Stalinize in the mid-1950s. He demonstrates that, contrary to common perception, North Korea was not a realm of undisturbed Stalinism; Kim Il Sung had to deal with a reformist opposition that was weak but present nevertheless. Lankov traces the impact of Soviet reforms on North Korea, placing them in the context of contemporaneous political crises in Poland and Hungary. 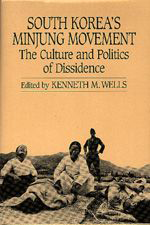 He documents the dissent among various social groups (intellectuals, students, party cadres) and their attempts to oust Kim in the unsuccessful "August plot" of 1956. His reconstruction of the Peng-Mikoyan visit of that year—the most dramatic Sino-Soviet intervention into Pyongyang politics—shows how it helped bring an end to purges of the opposition. The purges, however, resumed in less than a year as Kim skillfully began to distance himself from both Moscow and Beijing. The final chapters of this fascinating and revealing study deal with events of the late 1950s that eventually led to Kim's version of "national Stalinism." Lankov unearths data that, for the first time, allows us to estimate the scale and character of North Korea's Great Purge. Meticulously researched and cogently argued, Crisis in North Korea is a must-read for students and scholars of Korea and anyone interested in political leadership and personality cults, regime transition, and communist politics. Andrei N. Lankov is a lecturer in the Faculty of Asian Studies, Australian National University. 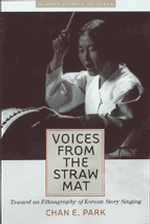 From its humble "straw mat" origins to its paradoxical status as a national treasure, p'ansori has survived centuries of change and remains the primary source of Korean narrative and poetic consciousness. In this innovative work, Chan Park celebrates her subject not as a static phenomenon but a living, organic tradition adapting to an ever-shifting context. Drawing on her extensive literary and performance backgrounds, Park provides insights into the relationship between language and music, singing and speaking, and traditional and modern reception. Her "performance-centered" approach to p'ansori informs the discussion of a wide range of topics, including the amalgamation of the dramatic, the narrative, and the poetic; the invocation of traditional narrative in contemporary politics; the vocal construction of gender; and the politics of preservation. Chan E. Park is associate professor of Korean language, literature, and performance folklore at Ohio State University. In the half century after 1945, South Korea went from an impoverished, largely rural nation ruled by a succession of authoritarian regimes to a prosperous, democratic industrial society. No less impressive was the country's transformation from a nation where a majority of the population had no formal education to one with some of the world's highest rates of literacy, high school graduates, and university students. Drawing on their premodern and colonial heritages as well as American education concepts, South Koreans have been largely successful in creating a schooling system that is comprehensive, uniform in standards, and universal. The key to understanding this educational transformation is South Korean society's striking, nearly universal preoccupation with schooling—what Koreans themselves call their "education fever." This volume explains how Koreans' concern for achieving as much formal education as possible appeared immediately before 1945 and quickly embraced every sector of society. Through interviews with teachers, officials, parents, and students and an examination of a wide range of written materials in both Korean and English, Michael Seth explores the reasons for this social demand for education and how it has shaped nearly every aspect of South Korean society. He also looks at the many problems of the Korean educational system: the focus on entrance examinations, which has tended to reduce education to test preparation; the overheated competition to enter prestigious schools; the enormous financial burden placed on families for costly private tutoring; the inflexibility created by an emphasis on uniformity of standards; and the misuse of education by successive governments for political purposes. Michael J. Seth is assistant professor of history at James Madison University in Harrisonburg, Virginia. The diplomat and scholar-official Min Yong-hwan (1861–1905), described by one contemporary Western observer as "undoubtably the first Korean after the emperor," is best remembered in Korean historiography for his pioneering diplomacy at the courts of Tsar Nicholas II and Queen Victoria in the late 1890s. Furthermore, he is considered to be the foremost patriot of Korea's Taehan era (1897–1907). 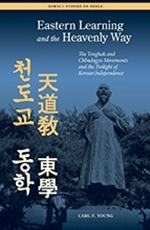 This pioneering study of Min Yong-hwan provides us with a new perspective on a period of Korean history that still casts its shadow over the region today. This new biography of Min contributes substantially to our understanding of this period by looking beyond the established view of Korea as being polarized between reformists and reactionaries in the late Chosŏn era. In doing so, it provides us with deeper insight into the full range of responses of the late Chosŏn leadership to the dual challenges of internal stagnation and external intervention at the juncture of the nineteenth and twentieth centuries. It will be essential reading for anyone interested in the recent history of Korea, late nineteenth-century imperialism, and Russian, Japanese, American, and British foreign policy in northeast Asia. Michael Finch is visiting assistant professor of Korean studies at Keimyung University in Taegu. The Kwangju Uprising is one of the most important political events in late twentieth-century Korean history. What began as a peaceful demonstration against the imposition of military rule in the southwestern city of Kwangju in May 1980 turned into a bloody people's revolt. In the two decades since, memories of the Kwangju Uprising have lived on, assuming symbolic importance in the Korean democracy movement, underlying the rise in anti-American sentiment in South Korea, and shaping the nation's transition to a civil society. Nonetheless it remains a contested event, the subject still of controversy, confusion, international debate, and competing claims. As one of the few Western eyewitnesses to the Uprising, Linda Lewis is uniquely positioned to write about the event. 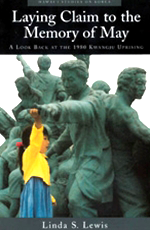 In this innovative work on commemoration politics, social representation, and memory, Lewis draws on her fieldwork notes from May 1980, writings from the 1980s, and ethnographic research she conducted in the late 1990s on the memorialization of Kwangju and its relationship to changes in the national political culture. Throughout, the chronological organization of the text is crisscrossed with commentary that provocatively disrupts the narrative flow and engages the reader in the reflexive process of remembering Kwangju over two decades. Highly original in its method and approach, Laying Claim to the Memory of May situates this seminal event in a broad historical and scholarly context. The result is not only the definitive history of the Kwangju Uprising, but also a sweeping overview of Korean studies over the last few decades. Linda S. Lewis is associate professor of anthropology and director of the East Asian Studies Program at Wittenberg University. On January 13, 1903, the first Korean immigrants arrived in Hawai'i. Numbering a little more than a hundred individuals, this group represented the initial wave of organized Korean immigration to Hawai'i. Over the next two and a half years, nearly 7,500 Koreans would make the long journey eastward across the Pacific. Most were single men contracted to augment (and, in many cases, to offset) the large numbers of existing Chinese and Japanese plantation workers. Although much has been written about early Chinese and Japanese laborers in Hawai'i, until now no comprehensive work had been published on first-generation Korean immigrants, the ilse. Making extensive use of primary source material from Korea, Japan, the continental U.S., and Hawai'i, Wayne Patterson weaves a compelling social history of the Korean experience in Hawai'i from 1903 to 1973 as seen primarily through the eyes of the ilse. Japanese surveillance records, student journals, and U.S. intelligence reports—many of which were uncovered by the author—provide an "inner history" of the Korean community. Chapter topics include plantation labor, Christian mission work, the move from the plantation to the city, picture prides, relations with the Japanese government, interaction with other ethnic groups, intergenerational conflict, the World War II experience, and the postwar years. 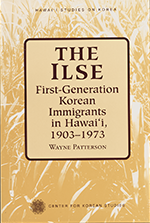 The Ilse is an impressive and much-needed contribution to Korean American and Hawai'i history and significantly advances our knowledge of the East Asian immigrant experience in the United States. 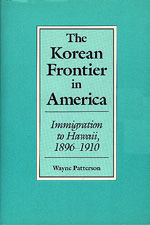 Wayne Patterson is professor of history at St. Norbert College in De Pere, Wisconsin, and author of The Korean Frontier in America: Immigration to Hawaii, 1896-1910 (University of Hawai'i Press, 1988). The Imjin nok, or Record of the Black Dragon Year, is the first popular tale inspired by the Japanese invasion of Korea between 1592 and 1598. As a collection of folk narratives clustered around major events and characters, it exists in some forty manuscript and printed versions, long and short, in the vernacular and literary Chinese. 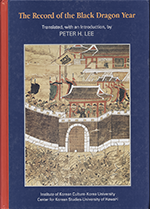 Peter H. Lee provides the first accurate and readable translation of this cultural text in English. 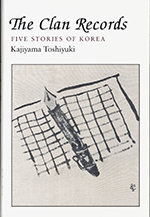 In the Introduction, Lee traces the rise of popular storytelling in late Choson times, analyzes ten recurrent motifs shared by the most extant versions in the vernacular, and firsthand eyewitness accounts of Korean captives in Japan along with similar accounts of the war in the records of dream journeys and kasa poetry. This first-ever “root dictionary” of Korean designed for second-language learners contains more than 1,500 lists of words built from shared roots. The lists offer a unique and efficient way for learners to acquire new words. On encountering a word, one can consult the lists for its component roots and discover many other semantically related words built from the same elements. The Handbook consists of two sections, one presenting roots of Chinese origin and the second containing native Korean roots. Within each section, each list begins with the relevant root written in Korean script together with the Chinese character (if there is one) and its English translation. The entries for individual words within a list include information about each item’s colloquial interpretation, the literal meaning of the component parts, and the Chinese characters used to write it. 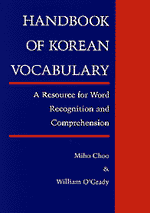 The Handbook will be of value to teachers and students of Korean as well as to native speakers of Korean who wish to use the word structure of their native language as a starting point for the study of English vocabulary. William O'Grady is professor of linguistics at the University of Hawai‘i at Mānoa. The minjung (people’s) movement stood in the forefront of the nationwide tide that swept away the military in June 1987 and opened up space for more democratic politics, more responsible economics, and new directions in culture. Yet, as concrete reforms take shape, serious debate has arisen over the identity of the minjung and the values the term represents. This is the first work in English to grapple specifically with the nature, impact, and implications of the diverse forms taken by this national development that lies at the center of the last three decades of tumult and change in South Korea. It offers insights from the per-spective of Korean and Western experts in a variety of disciplines, including leaders of the movement itself. 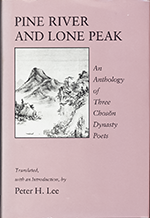 Taken from the pen names Chong Ch’ol and Yun Sondo, respectively, Pine River and Lone Peak represents the works of the sixtenth- and seventeenth-century Korean masters of the short lyric poetry (sijo) and narrative verse (kasa) forms. This new translation also includes the works of Pak Illo, as well as a literary and cultural introduction to the period, enabling the modern reader to understand the continuous dialogue with the tradition in which these poets engaged. Peter H. Lee is professor of Korean and comparative literature at the University of California, Los Angeles. 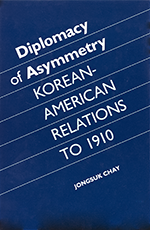 Drawing on archival and other primary sources, Jong-suk Chay traces diplomatic relations between Korea and the United States from their origins in the mid-nineteenth century to 1910, emphasizing the three decades after 1882. Both descriptive and analytical, this book contains a wealth of information on early Korean-American relations and offers valuable insights—especially into the role of public opinion in the foreign policy-making process and the influence of systemic change on diplomatic relations. It also tells the story of a peculiar relationship between two nations with radically different interests and expectations. Wayne Patterson is professor of history at St. Norbert College in De Pere, Wisconsin. James I. Matray is professor of history at California State University, Chico. The century-long relationship between Korea and the United States is examined in this integrated series of studies by Korean and American scholars. 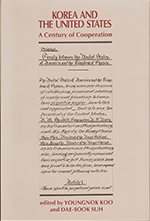 The volume grew out of a conference held at the University of Hawai‘i’s Center for Korean Studies in May 1982 in observance of the centennial of the signing of the treaty establishing relations between the two nations. Not limited to an analysis of the political and economic dimensions of the relationship, this book considers as well the historical, cultural, social, and intellectual ties between Korea and the United States. 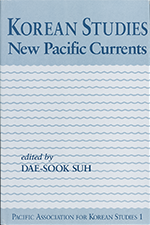 This volume contains sixteen papers selected from the nearly one hundred presented at the First Pacific Basin Conference on Korean studies, held in Honolulu in 1992. The papers reflect the wide range of academic disciplines and geographic regions represented at the conference. They are grouped into five broad categories—history, literature, philosophy and religion, politics and economics, and sociology—and address such topics as rethinking popular culture in 1930s Korea, women’s literature in the Chosŏn period, early Western studies of Korean religions, North Korean foreign policy, and ethnic identity and community involvement of young Korean Americans.